Police are appealing for witnesses and have issued a description of man they want to speak to after a teenage boy was stabbed in Banbury yesterday, Wednesday. Police issued an updated statement late this afternoon, Thursday, following the assault occasioning grievous bodily harm. The incident took place yesterday, Wednesday, July 11, at about 4.15pm in an alley leading from Delapre Drive to the Co-op in Grimsbury. Police said the victim, a 16-year-old boy, was approached by a man and stabbed a number of times. He also had his mobile phone stolen during the incident. He managed to leave the alleyway and asked a member of the public for help. The victim sustained injuries to the leg and torso and was taken to hospital for treatment. He has since been discharged. The offender was a mixed race man, aged about 30. He was about 6ft tall with a slim build and was wearing a white short-sleeved t-shirt with horizontal blue stripes and light blue jeans. 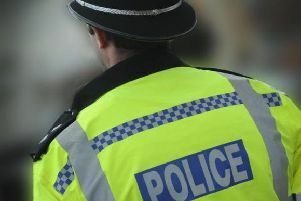 Investigating officer Detective Sergeant Chris Whitwell, of Banbury Force CID, said: “This was a violent attack which left a 16-year-old boy with injuries which required hospital treatment. “He has since been discharged from hospital but the outcome could have been much more serious. “An investigation into this incident is being carried out, and members of the public may see an increased police presence in the area. “We believe that this was an isolated incident, and are appealing for anyone with any information relating to it to get in touch.